Sure, the two and a half thousand pilots of the low cost carrier are concerned about basic issues of pay, retirement and protection of jobs and seniority should the airline someday merge with another carrier. Moak touched on all that. But he revels when he talks about another, larger theme; airlines in America are in a time of global transition. The companies and their employees need to work together if they are going to survive the tough times ahead. "Ninety five percent of all the issues that the pilot profession is dealing with, we have in common," Moak told reporters. Improving pay and working conditions is one thing, equally important is to "combine our resources to affect government policy so our industry can compete in what is a competitive global economic environment." Over the past few years, that's meant the union has joined with individual airlines and the industry trade association, Airlines 4 America in campaigning against unfair international competition like Norwegian's application for a U.S. Air Operators Certificate. 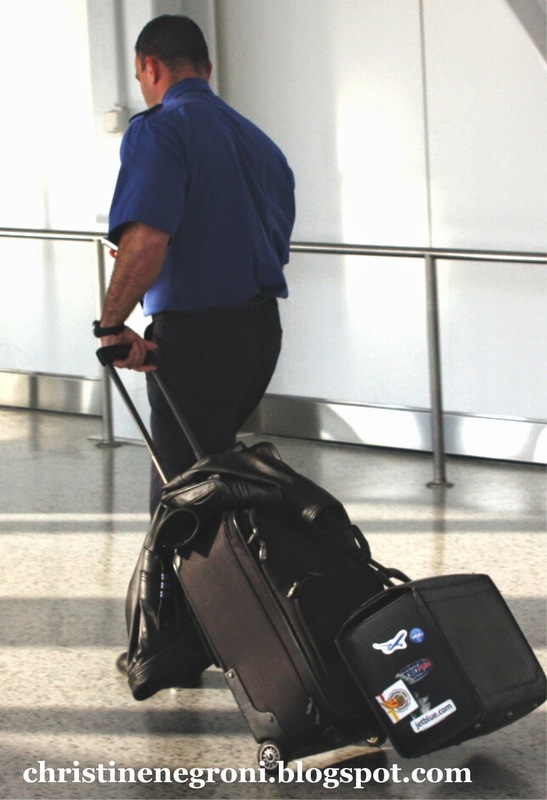 ALPA joins American carriers in opposing the pre-clearance program at Abu Dhabi airport that will give U.A.E. airline Etihad an advantage because its customers will be able to skip immigration lines on arrival to U.S. airports, while the customers of American carriers wait in long lines and steam. Open skies, airport security, U.S. government backed loans for airliner purchases are some of the other issues that bore the pants off most people but have serious consequences in the marketplace. Call me Polly-anna, but I think this is a good thing. JetBlue's CEO DaveBarger doesn't seem to agree. 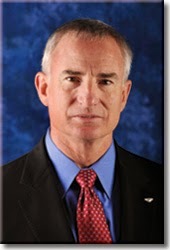 In a churlish response the normally good-natured airline issued one simple statement from Barger. "The National Mediation Board will authorize ALPA as the representative body for JetBlue pilots, and then both JetBlue and ALPA will organize negotiating committees." If Barger was trying to convey, "I'm pissed," well, mission accomplished. Barger should get a grip on his not-so-inner petulant child by taking a lesson from Moak who, magnanimous in victory, summed it all up this way. "We have the utmost respect for JetBlue's executive team and JetBlue's culture and enterprise going forward. We're going to work very well together and we are looking forward to it." Maybe that’s what JetBlue’s pilots saw that convinced them this time was the right time to be part of something bigger. We have to remember that ALPA is a business, just like a law firm (in fact it is a law firm) that represents (sic) its clients for a fee. Since it is a business it's about money, power and influence. If it weren't, the TWA pilots would not have received a settlement of millions and millions of dollars from ALPA for failure to represent them. Back room deals are not about doing the right thing. However, JetBlue dues money will go a long way to replenishing their bank account. Like most statesmen (politicians) their rhetoric changes after the election. How long before Moak's respect of the JetBlue's executive team fades. As the JetBlue pilots move from negotiation to ratification to enforcement of a new contract the quote from Moak, "We have the utmost respect for JetBlue's executive team and JetBlue's culture and enterprise going forward. We're going to work very well together and we are looking forward to it." will probably be the last time ALPA has anything nice to say about their management. JetBlue pilots have had a relatively peaceful relationship with their management. However, they have just invited their "mother in law" to come and live with them. I'm sure her advice and opinions will only help to strengthen that relationship. As an alpa member for 35 years practically everything you said was wrong. I am not a lawyer and neither is Lee Moak. Most of the pilots at my airline volunteer. We negotiate with management not Alpa. Alpa is made up of pilots. We do have lawyers that help us with all sorts of things including contracts. Nobody forced me to join a union. I wanted to. Jet Blue turned down the union twice, now they realized a legal binding contract is a better way to go. People like you can drink all the kool aid you want. JetBlue pilots are a welcome addition to ALPA. Our strength to counter industry threats just improved with the addition of the 2600 JetBlue pilot group. How they interact with their management is their choice, and their choice alone. ALPA resources will simply support them on the path they choose. End of the gravy train. Just because tragedy hits do not entitle the next of kin to have free hotels, flights, and expenses paid indefinitely.